Muslim theologians were explicit in the combination of nonviolent and violent jihad to spread Islam. Jihad is central to the Muslim perception of the world, dividing it into dar al-Islam (abode of Islam) anddar al-harb (abode of war) which is destined to come under Islamic rule. Jihad both purifies the dar al-Islam and is the tool to shrink and eradicate the dar al-harb. As a doctrine, the aim of jihad is clear: to establish God's rule on earth by compelling non-Muslims to embrace Islam, or to force them to accept second class status if not eradicate them altogether. Such an understanding constituted one of the main ideological bases of the dynasties that ruled the Islamic world from the late seventh century until Mongol hordes put an effective end to their control in the thirteenth century. There is little tolerance for idolaters within Islam: the first article of faith is the profession, la ilah illa-llah (there is no deity but God). Muslim jurisprudence considers shirk to be the worst form of disbelief. The Qur'an commands Muslims to kill those who commit shirk and is replete with examples calling for jihad against idolaters. For example, sura (chapter) 9:5 reads, "When the sacred months have passed, slay the idolaters whenever you find them, and take them captive or besiege them." Sura 8:39 reads, "So fight them so that sedition might end and obedience is wholly Allah's"; and sura 9:123 states, "Fight the unbelievers who are near to you, and let them find ruthlessness in you." Muslims living under the rule of idolaters are obliged to fight their rulers.The Qur'an likewise commands believers to conduct jihad against hypocrites, seize them, and do away with them. All infidels, unbelievers, and hypocrites—those who commit blasphemy or treason—are relegated to hell. Prominent Muslim scholars consider the general jihad declaration against the unbelievers to be crucial to Islamic success. Those who sacrifice their material comfort and bodies for jihad win salvation. By their sacrifice, they obtain all the pleasures of paradise, be they spiritual—the close presence of God—or material. 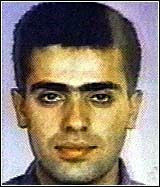 As an additional incentive, Muhammad promised those mujahideen who fight in a jihad war a reward of virgins in paradise. Importantly, those conducting suicide bombings do not consider themselves dead but rather living with God. As sura 2:154 explains, "Do not think that those who are killed in the way of Allah are dead, for indeed they are alive, even though you are not aware." Therefore the prohibition on suicide need not apply to bus bombers or other kamikaze jihadists. Martin Lings, a British scholar of Sufism, argues that this linkage between martyrdom and paradise was probably the most potent factor that Muhammad brought to the annals of warfare,for it transformed the odds of war by offering a promise of immortality. The Hadith collections, the second important source of Shari‘a after the Qur'an, devote considerable attention to jihad, most often in terms of military action against non-believers. Indeed, most Islamic theologians in the classical period (750-1258 C.E.) understood this obligation to jihad as military.There is a whole genre of hadith known as fada'il al-jihad (the merits of the holy war), based on the nine-volume Hadith collection of Muhammad ibn Isma‘il al-Bukhari (810-70) and considered to be the most respected and authoritative collection. He dedicates almost one-third of his fourth volume on jihad as physical holy war against infidels. For example, he relates a hadith of Muhammad commenting that there are one hundred stages in paradise for those who fight for the way of God. Only those who participate in jihad deserve paradise without any checks and reservations. To exemplify this notion, Bukhari relates a story of a woman asking Muhammad if her son, who was killed in the battle of Badr, is in paradise, and he replied that her son is in a higher paradise. 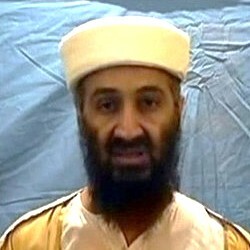 ‘Azzam was a major intellectual influence upon Osama bin Laden and Al-Qaeda. In his bookKnights under the Banner of the Prophet, bin Laden's number two, Ayman al-Zawahiri, identified his organization's goals as da'wa and violent jihad against both an "internal enemy," i.e., existing Arab infidel regimes, and an "external enemy" in areas not controlled by Muslims. To Zawahiri, Muslims who accept Western values such as democracy and those who renounce jihad as a means to establish the Islamic state are infidels deserving of death. The Islamic nation, he maintained, would be established only through jihad for the sake of God, compulsory duty vested upon all the Islamic community. He believed that a "Crusader-Jewish" alliance would mobilize all its resources to counter Islamic power. Photo not from original article. In recent decades, the Palestinian Islamist group Hamas has embraced suicide bombings to lethal effect. Its 1987 charter shows its intellectual and theological justifications. It cites the Qur'an  to promote the idea of Muslim exclusivity and hadith from Bukhari and the Sahih Muslim calling for the murder of Jews to hasten the Day of Judgment. More recent exegesis also influenced Hamas. The charter cites Banna's call for Islam to obliterate Israel and is explicit about the violent nature of jihad: Article 13 argues that there is no solution to the Palestinian question but through jihad, and Article 15 declares the necessity to instill jihad in the heart of the Muslim nation. Today's Al-Qaeda splinter and successor groups and their fellow travelers use the writings of Ibn Taymiya and those influenced by him. The linkage is concrete. They often cite the same Qur'anic passages and hadith that justified the violent jihad of the seventh century. Religious clerics issuefatwas citing them. Perhaps the most prominent of these is Sheikh Yusuf al-Qaradawi, who has built upon such interpretations to justify suicide bombing, other acts of terrorism, and the murder of civilians, all in the cause of jihad. He has called suicide bombing a supreme form of jihad for the sake of God and, therefore, religiously legitimate. Those who object to his ideas he labels as agents of ignorance. While he argues that the Qur'an does not allow attacks against the innocent, his definition of innocence is so narrow as to obviate such assurances. Bernard Lewis, Islam and the West (New York: Oxford University Press, 1993), p. 163. For the privileges of martyrs who fall in battle, see Eitan Kohlberg, The Encyclopedia of Islam, vol. 9 (Leiden: E.J. Brill, 1960), s.v. "shahid." For specific examples, see Bukhari, Sahih, vol. 4, pp. 53, 72, 216; Muslim,Sahih, vol. 11, p. 2013. For additional background on the Assassins, see Bernard Lewis, Assassins: A Radical Sect in Islam(New York: Basic Books, 2003). Al-Quds al-Arabi (London), Feb. 23, 1998, May 14, 1998; interview, Time Magazine, Dec. 24, 1998;ABC News, Jan. 11, 1999; interview, Newsweek, Jan. 17, 1999. Technorati Tag: Jihad and Islamists.